Probiotics. You have probably heard a lot about them by now. If you were to walk through your local grocery store, you are bound to find new products that promote the addition of probiotics into their ingredient list. Kombucha, yogurt, and kefir are the most common food items associated with probiotics. But what are probiotics and why are they becoming so popular? Probiotics are strains of live bacteria or yeast that provide benefits to our gastrointestinal tract. Gut health has become a large topic of conversation among health conscious individuals due to the amount of benefits having a healthy gut can bring to you. A healthy gut may lead to a better immune system, better absorption of minerals and producing vitamins, positive metabolic activity, as well as have connections to prevention of chronic diseases. Probiotics have increased in popularity due to the continuation of scientific studies being released displaying its possible benefits. Some individuals who may benefit most include individuals with irritable bowel syndrome (IBS), constipation/bloating/abdominal pain without IBS, lactose intolerance, and antibiotic/chemotherapy related diarrhea. There are also some studies that show your gut health can be related to your mood, through connections of anxiety and depression. Although some studies do show these benefits, more research is needed³ and will most likely be released over the next few years as probiotics have become such a hot topic. If you are considering adding a probiotic to your daily consumption, typically at least 1 billion cells to 10 billion cells daily is typical, while products can even get up to 900 billion. Usually probiotics with more live cultures will cost more, but depending on the diet, may be more beneficial. Probiotics are meant to be taken daily due to the fact that their benefits are not permanent. Studies show that effects of ingesting a probiotics only last shortly after ingested (from a few days to about 3 weeks). Not all probiotics are created equal and not all probiotics have the same effects on the body. In the case of IBS, some probiotic studies have shown relief relating to abdominal pain and discomfort, but not to bloating, while others show effects on bloating, but not pain or discomfort. When looking for the right probiotic for you, doing additional research online can ensure you are getting what you are looking for out of your purchase. It also is important to know that probiotics and prebiotics are not the same things. Prebiotics act as fuel/food for probiotics, and may be combined to create a product called synbiotics. Through the consumption of probiotics, prebiotics may be normally produced in a synergistic relationship, making addition supplementation of a prebiotic not completely necessary. Probiotics can be found in certain foods if supplementing with a daily product is not desired. Kefir is a cultured milk product that is usually found in the same section along with yogurt. 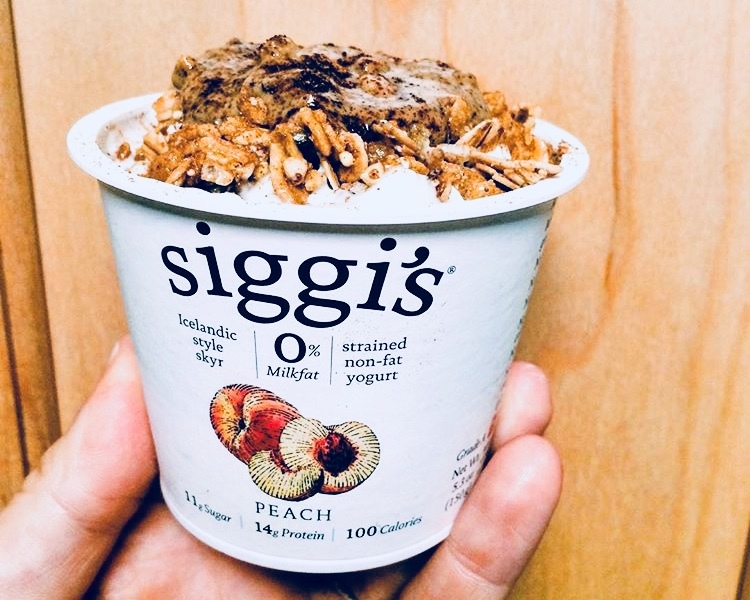 Some yogurts have more probiotics than other and are usually marketed to promote this function. Kombucha is a fermented tea that has increased in popularity over the past few years and is now sold in most grocery stores. Some other sources of probiotics include sauerkraut, and kimchi, which are both fermented cabbages. While food sources are available, large counts of probiotic cells will be found in supplementation form.